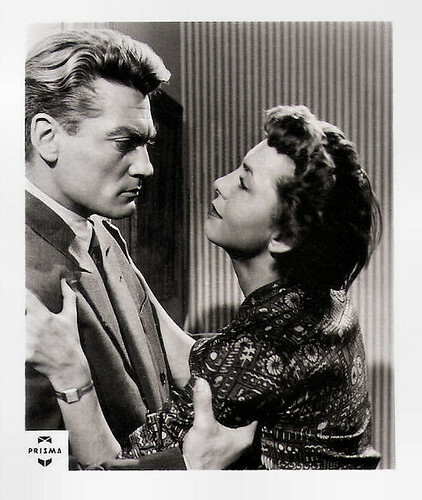 The romantic drama Aux yeux du souvenir/Nightstop in Dakar (Jean Delannoy, 1948) starred two of the most beautiful and unforgettable stars of the French cinema, Michèle Morgan and Jean Marais. The screenplay was written by director Delannoy, Henri Jeanson and Georges Neveux. 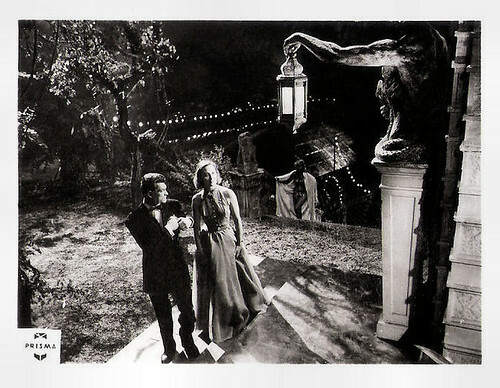 At the 1949 Venice Film Festival, Jean Delannoy was nominated for a Golden Lion. French postcard by Editions P.I., offered by Les Carbones Korès, no. 80. Photo: Qibé. 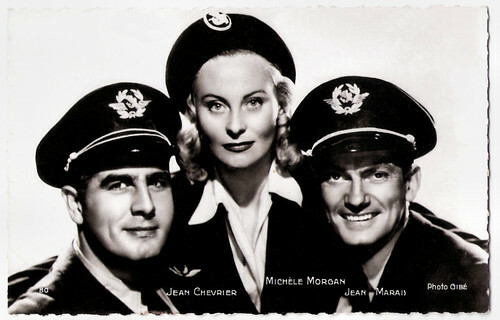 Publicity still for Aux yeux du souvenir/Nightstop in Dakar (Jean Delannoy, 1948) with Jean Chevrier, Michèle Morgan and Jean Marais. German collectors card. Photo: Prisma. Publicity still for Aux yeux du souvenir/Nightstop in Dakar (Jean Delannoy, 1948). 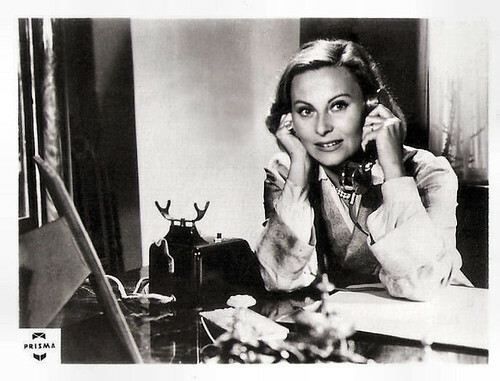 In Aux yeux du souvenir (1948), Michèle Morgan plays Claire Magny, who wanted to be a stage actress, but became an air hostess after an unhappy love affair. Claire is to marry commandant Pierre Aubry (Jean Chevrier) when Jacques Forestier (Jean Marais), a former love, reappears in her life. The end of the film is inspired by a real event accomplished above the Atlantic ocean on the 7 February 1947 by an Air France crew member. D.B. 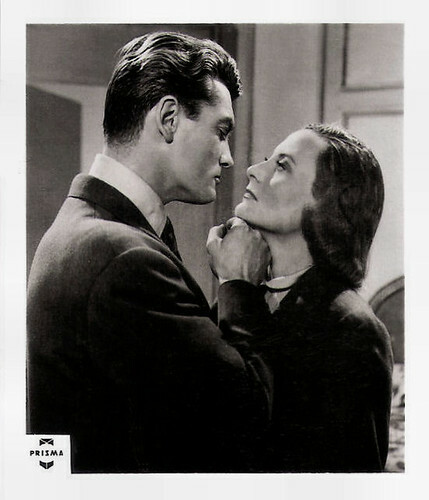 DuMonteil at IMDb calls the film 'weak': "Although it features Delannoy 's favorite actress, Michèle Morgan and Jean Marais, perhaps the most attractive couple of the era. Made at a time French people would not take planes, Morgan as an air hostess, and Marais as an airline pilot could easily make a young girls dream. It also glorified Air France. A good writer such as Henri Jeanson could not save a conventional love story, which resembles a Harlequin romance." Sources: D.B. DuMonteil (IMDb), Wikipedia and IMDb.